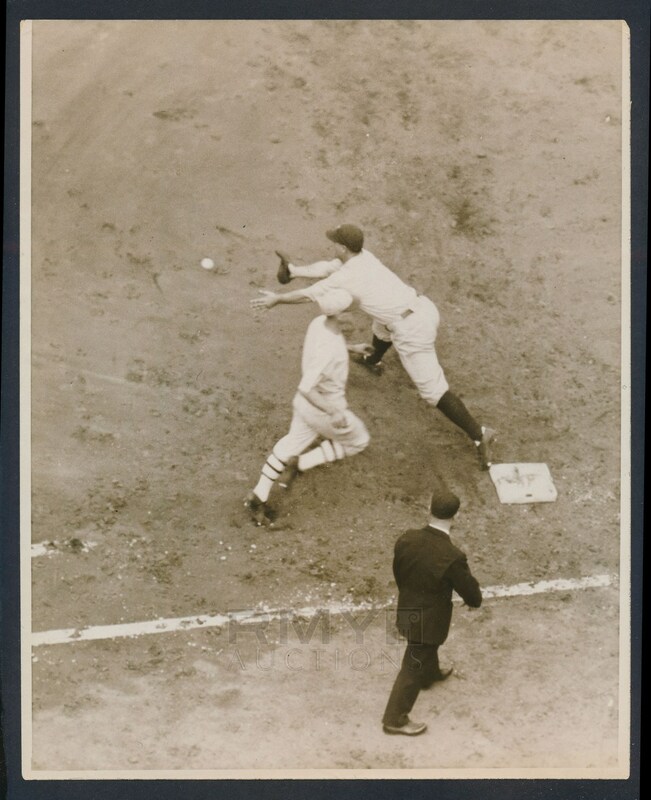 Beautiful c. 1927 large photograph of Hall of Famer Lou Gehrig as he makes the play at first base against the Athletics. A fantastic image showing the other side of Gehrig's game that is often overlooked as he was also a really good fielding first baseman as well. 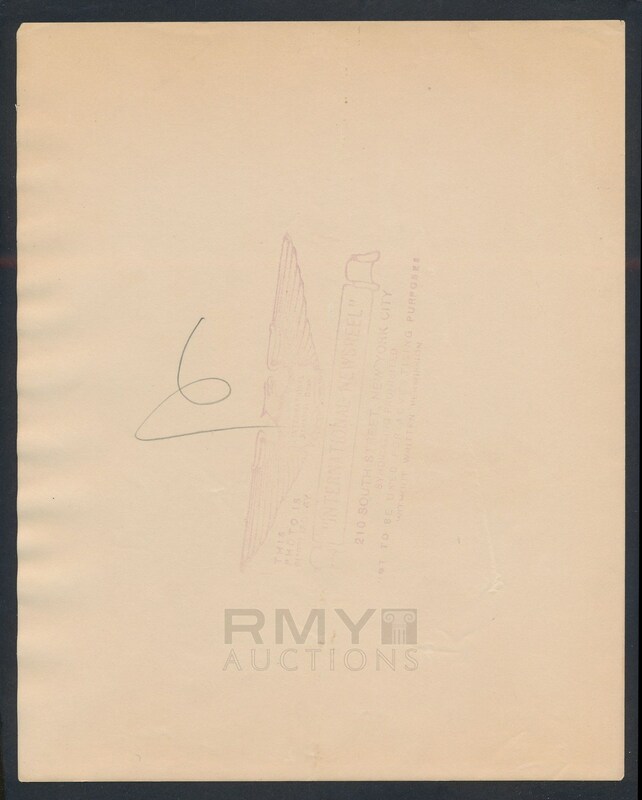 Issued by the International News and stamped on the back, the image remains in fine condition overall. One of the finest Gehrig action images from the Murderers Row season we have had the pleasure of handling!